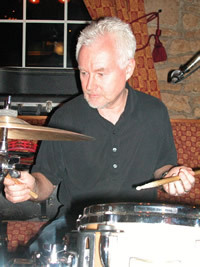 Drummer and songwriter from Manchester England. Just me doing stuff on my 8 track. * Your song 'Lately' has just been added to DAVE RADIO station! * Your song 'Put it down to Love' has just been added to Nottingham station! * Your song 'Put it down to Love' has just been added to Adult Alternative Asylum station! * Your song 'Pretty Girl' has just been added to Onestreamer 2 station! * Your song 'Put it down to Love' has just been added to Coffeehouse station! * Your song 'Pretty Girl' has just been added to XNWY Kickinghorse Country Radio station! IMP Your song 'Pretty Girl' has just been added to Kayak Classics station! IMP Your song 'Pretty Girl' has just been added to Hidden Diamonds station!